I can’t believe it’s been nearly three months since my last update, but I guess that’s what happens around this time of year. Things get hectic around the holidays and priorities shift for the better to focus on being with friends and family. I was fortunate enough to spend some time with friends from both Houston and Chicago during the month of December, as well as enjoy Christmas and New Years with my wife, our three daughters, and our extended families. The weather in Michigan has been a bit of a roller coaster so far this winter, with one word dominating the forecast: COLD. We have seen many nights below zero during the past month and a half, as well as our fair share of snow. Despite having a small jet heater to use in my garage, it’s tough for me to find motivation to spend time out there when the temps are below 25º. Maybe I’m just getting old, but man- sometimes I can’t make myself do it anymore. Despite the usual struggle with motivation in the winter, I have managed to make some progress on my car. If you remember back in October of last year, my wife and I took the car on a road trip to Northern Michigan and ran into several issues including a bad wheel bearing, a lack of heat and defrost, leaky floors and seals, and just a generally uncomfortable car to be in. My hope for this winter was to try to finally take the time to improve on all of the details that make my car uncomfortable that I often ignore or neglect in order to add other modifications or change things up periodically. Since the car more or less feels like a “Greatest Hits” album to me right now with a culmination of the best parts from all of my favorite stages over the past decade, I thought it made sense to leave the main pieces alone and focus on improving the driving experience. The first order of business this winter was reinstalling a complete HVAC system I sourced from a car an old friend was parting out. The blower motor in my S13 either never worked, or worked for a very short period of time- at this point I honestly don’t remember anymore. The AC components in the engine bay were removed by the previous owner before I purchased the car. Back in the winter of 2011-2012 I decided to shave my engine bay and tuck my fuse boxes behind the dash. Well, this presented a problem as it didn’t seem there was enough room to do so. Since the blower and AC didn’t work anyway, I ended up completely removing the HVAC system to have room for the brake lines and fuse boxes. This ended up being one of the decisions that contributed to me parting out the car in October 2012. Fast forward to today- I removed the complete HVAC setup from an S13 convertible back in November and installed it in my car. I had to remove my custom brake hard lines as those ran through the firewall where the heater core and blower motor are positioned. 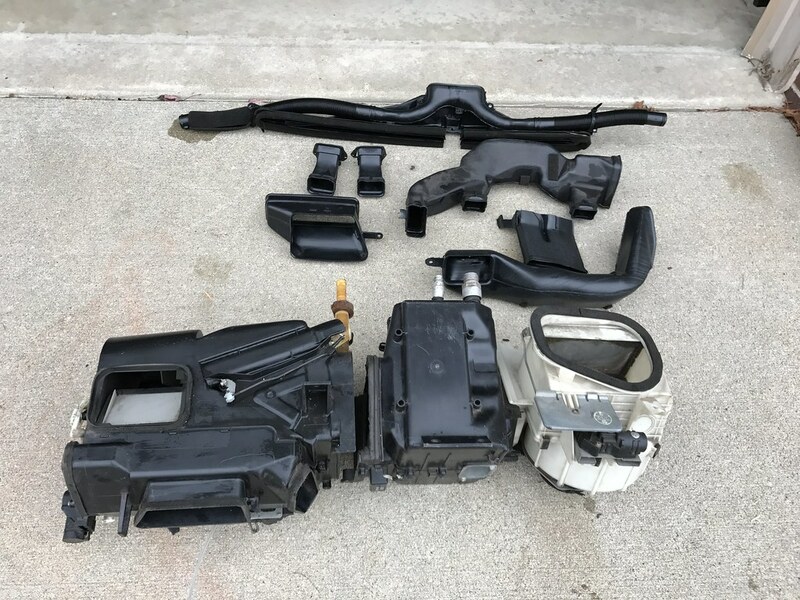 I decided I was over the shaved engine bay look, so I also took the OEM Nissan brake hard lines from the S13 convertible and am in the process of converting back to the stock line setup. This process proved to be a pretty tedious one, but I am pleased to say everything finally appears to be working properly. The blower motor still didn’t work when I initially turned the key on and tested it, but it turned out to be a bad relay (which was likely the cause of a lot of headache for me over the last nine years.) I then spent a long time rerouting wiring and tucking the engine harness behind the dash to get everything to fit properly with the HVAC setup in place- something I was too lazy and discouraged to figure out when I tucked the bay. This will require me to mount my fuse box in the glove compartment, but I rarely use it anyway. This isn’t the ideal solution in my eyes, but it will be worth it to have functioning heat and defrost again after all these years! 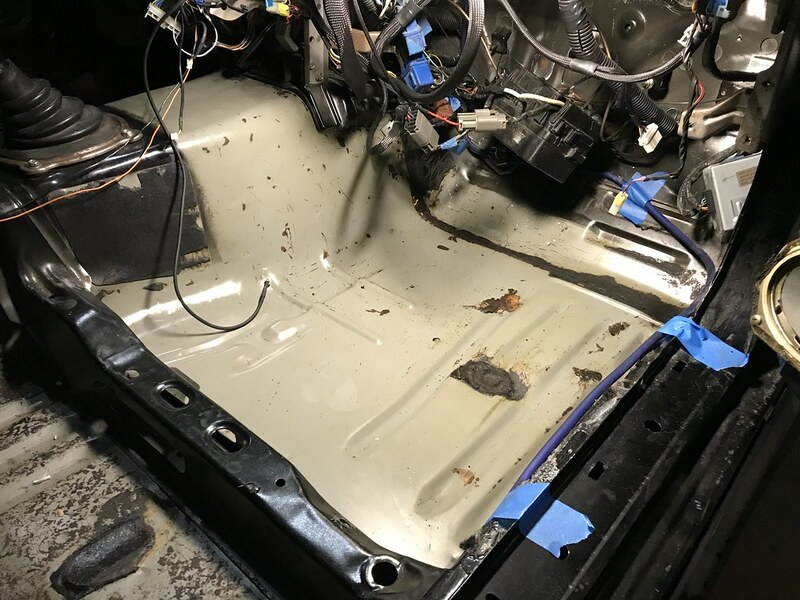 While all of the HVAC work was going on, I also took the time to seal up any holes or openings on the chassis that could be allowing water to enter the interior. 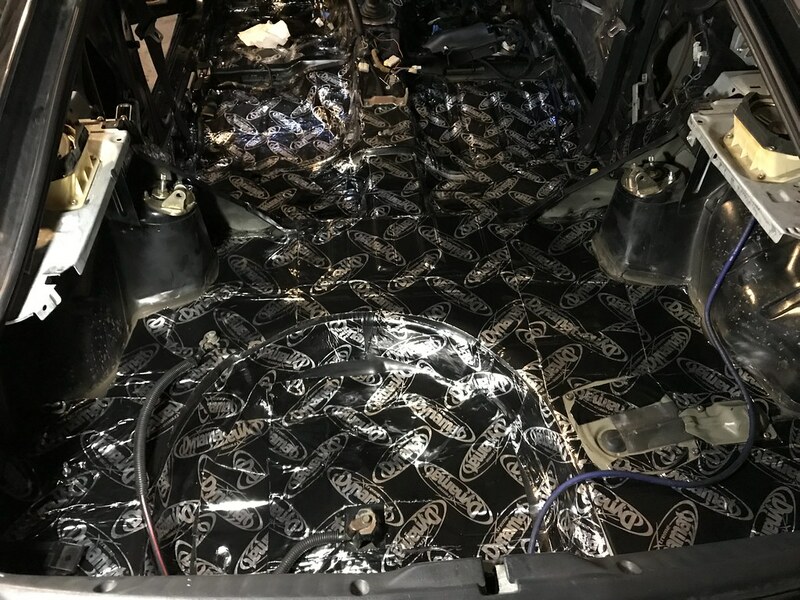 I thought it would be a good idea to remove my sound deadening and save some weight when I first bought my car, but the 32 year old me no longer agrees with this choice. 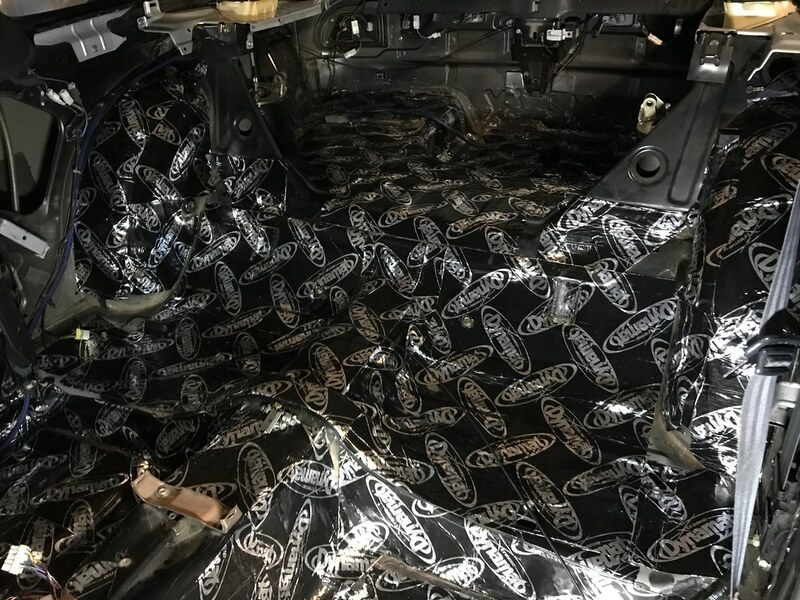 I used brake parts cleaner and Duplicolor Grease & Wax remover to take off all of the tar residue left behind from the factory sound deadening before installing Dynamat through nearly all areas of the interior: the firewall, floors, rear seat area, rear fender tubs, trunk, spare tire well, and even the roof. I probably went a bit overboard on this, but I am hoping the results are worth it. For those that might be curious, I used two kits of nine sheets each to more or less completely cover the interior. I still need to do the doors and add some 1/2″ thick Dynaliner I purchased to the floor area to further block noise and heat, but that work should be completed this weekend. I can’t wait to have the dash and carpet back in the car! Another creature comfort I am actively working to address is the radio. I have only ever had the stock tape deck and speakers in this car. The antenna doesn’t really work anymore though, which left me with one option- using a tape adapter to play music from my phone (or several years ago, my iPod.) This worked (albeit poorly) for a couple months until the tape player ultimately stopped playing tapes. Through just about every road trip in this car, I have either listened to the hum of the SR20 or used headphones. 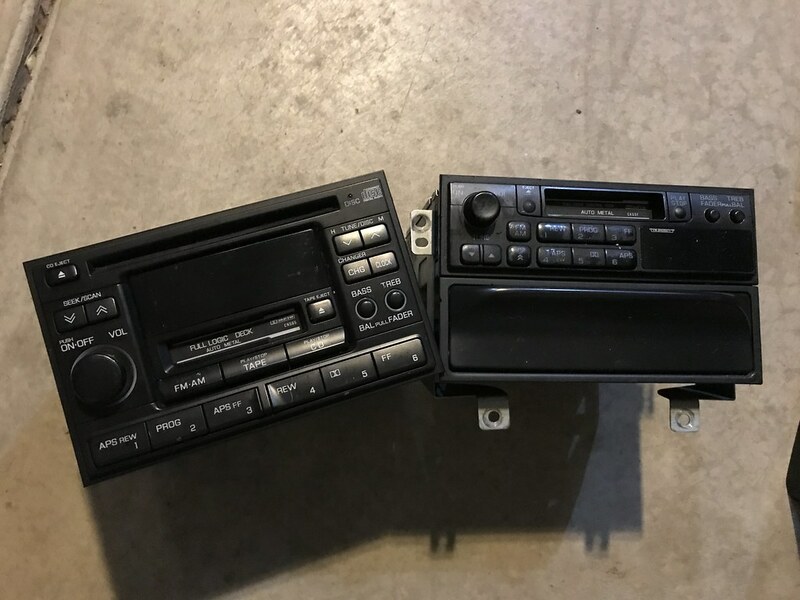 I saw a cool writeup by Restomod Ninja that explained that a specific Nissan Maxima double din head unit is in fact the same part number as the optional head unit for the kouki 180SX in Japan. He sold me one for cheap that I am planning to wire up. My initial thinking was that I would simply replace all four speakers and utilize this head unit with a tape adapter or bluetooth adapter, but I’m debating if that will really be worth it. It would be much easier to go with an aftermarket head unit, but I hate the look of most of them on the market these days. The factory unit looks great and feels very period correct, so I typically choose aesthetics over a radio that sounds nice. We’ll see though- coming from not having anything or bringing a portable Bose bluetooth radio with us to listen to music on our road trips, this might be a huge improvement and a great solution. So, this is more or less how the car sits currently. I’m hoping to make some progress on reinstalling the interior this weekend. As soon as the interior is back in, I need to paint the brake calipers (they’re a bit worse for the wear since being resprayed in 2014,) finish installing the OEM brake hard lines, and run the coolant hoses for the heater core. I still have a few seals and weather stripping pieces I want to replace before spring as well. 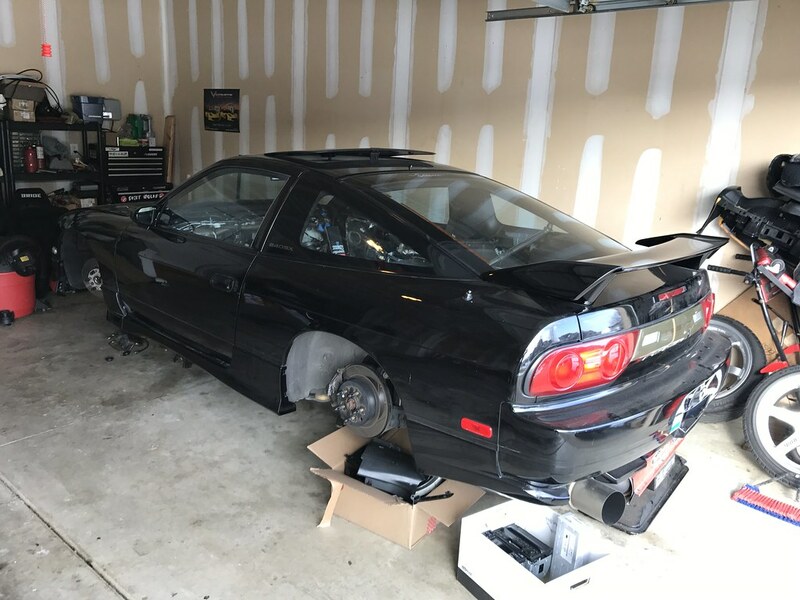 My goal is to have everything together and road worthy by the time the weather breaks in April so that I am not playing catchup to get the car out like I often am. We’ll see how it goes though. Looking forward to testing out the improvements made this winter sometime soon! I think the car should be a lot more pleasant to drive. Thanks as always for stopping by and have an excellent weekend! Curious why you don’t go with some braided brake lines like chasebays etc. I’ve had em on my coupe for 3 years now with 0 issues. I actually recently drilled into the front crossmember and ran them through there to tuck them a touch more. The OEM brakelines are such an eyesore, and your car is way to nice for that. I attempted to install the Chase Bays tucked brake line kit and booster delete in 2011. It had a massive problem with leaks and I was generally not impressed with it overall. I had already drilled all of the holes in my chassis, so I opted to make my own steel hard lines that ran behind the firewall. When reinstalling my HVAC this year, I needed to remove the hard lines I made to have room for the heater core. I’ve grown out of the whole “shaved look” in the engine bay and prefer the factory setup now. 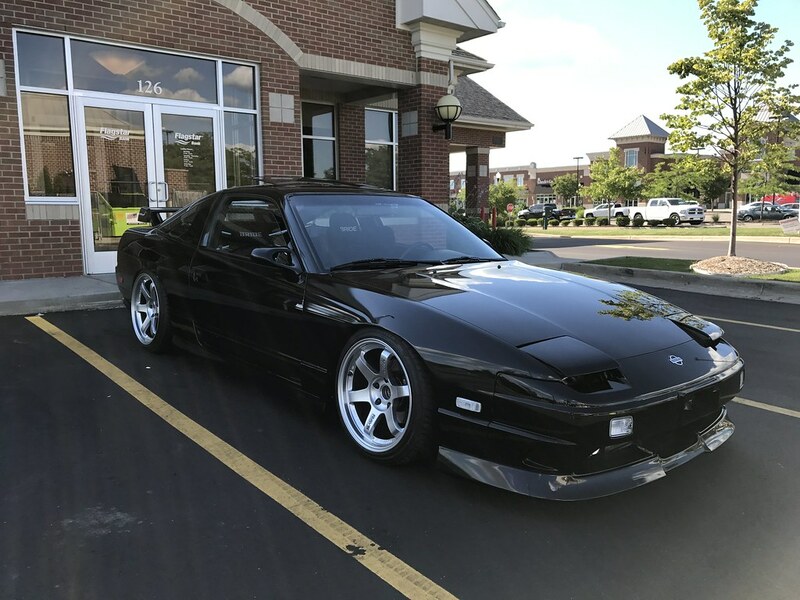 At this time I would rather have a more factory look than the whole tucked bay thing.